Volunteering is an incredibly positive way to give back to the community and develop a new skill. Giving back to the community is something the Chamber is incredibly passionate about. We have a number of volunteer committees, as well as a volunteer board. Many of the Chamber's current and past successes have resulted from the work of its committees, tapping into the influence and expertise within the local business community to get things done and to generate new ideas. The Policy Advisory Committee monitors the compliance of the Kelowna Chamber of Commerce Board Policy Manual. This committee also ensures compliance of the Bylaws as registered with Industry Canada and any other regulatory framework as required by the Province of BC. The Member Care Committee encourages growth of the membership while ensuring ongoing support, evaluation and adjustment of programs, services and events provided to our Chamber members and the community. 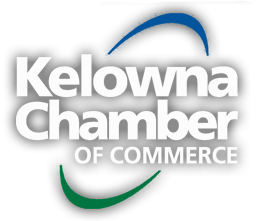 The Finance Committee oversees the financial activities pertaining to the operations of the Kelowna Chamber of Commerce. This group serves in an advisory capacity to the Board of Directors to bridge past and present Chamber leadership and provides input on issues that impact the long-term health and vitality of the Chamber and the Kelowna economy. The Building Committee oversees the Chamber’s lease agreements with the City of Kelowna, as well as the Chamber’s tenant(s) to ensure the Chamber reasonably maintains its building and physical space both internally and externally in a manner that is appropriate for the Chamber’s brand and in consideration of the long term physical needs of the organization.